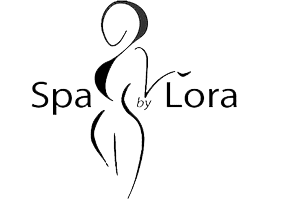 If you live or work near the Bucktown neighborhood of Chicago and the Ravinia neighborhood of Highland Park, Illinois and are concerned about the appearance of your skin, you should make an appointment for a facial treatment at Spa by Lora. Lora is a licensed esthetician with over 20 years of experience in helping her clients to take care of their skin and look their best. Contact either location to schedule an appointment today. Regular facial treatments help to keep your skin fresh and youthful. While a good daily skin care regimen is important to keeping your skin healthy, regular facial treatments with a skincare expert like Lora help to stave off signs of aging, providing stronger exfoliation, collagen-stimulating treatments, and deep moisturization, providing you with an improved skin tone and texture. What should I expect during my facial treatment? Your facial treatment is a relaxing and luxurious experience. You’ll relax on one of Lora’s comfortable treatment beds, wrapped in warm blankets to keep you comfortable while Lora applies her expertise and high-quality products to your face, neck, and decollete. What kinds of facial treatments are available? Lora offers a wide range of facial treatments to improve the appearance of your skin. Contact either location to schedule a facial treatment, customized to meet your specific needs. Firms, rehydrates and restores to leave skin looking more radiant. Clears skin congestion, controls acne and revitalizes fatigued or dull skin. Visibly evens skin tone, while correcting the appearance of dark spots. Diminishes the appearance of redness and increases hydration. Leaves skin looking younger, cleaner, and more hydrated. Dramatically minimizes deeper lines and wrinkles, while hydrating and tightening the skin. Delays visible signs of aging by energizing the skin. Formulated with marina and vegetable ingredients including Vitamin C Concentrate, Algae Biomatrix Patches and Thermal Organic Mud. Stimulates collagen production in order to reduce fine lines, minimize pores and increase skin elasticity, while fixing acne, broken capillaries and dark spots. A unique combination of treatments designed specifically for you. Polishes appearance of fine lines, wrinkles and congested skin. Recuperates lines and wrinkles, photo-aging damage, dull skin and imperfections in skin tone. Mends dry or flaky skin, as well as fine lines and wrinkles that represent the first signs of aging. Treats the look of acne-prone skin, blemishes, photo-aging damage and pigmentation. Improves acne-prone skin and photo-aging damage. Refines skin elasticity, firmness and fullness to produce a long-lasting lifting effect. Promotes the vitality of the skin and delays the appearance of visible signs of aging. Boosted with peptides to visibly reduce lines and wrinkles, as well as retinol and alpha lipoic acid to further deactivate signs of aging. Removes top layer of skin to stimulate new cell production. Treats wrinkles, fine lines, injury scars, acne scars, and hyperpigmentation. Leaves skin smoother and more even through an exfoliation technique that removes dead cells, allowing active ingredients to deeply penetrate the skin.